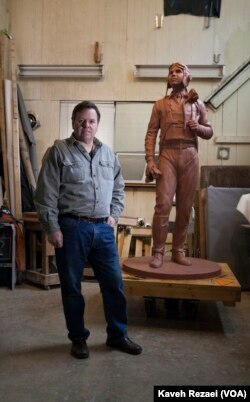 Antonio Tobias “Toby” Mendez makes his living as a sculptor. He is best known for the Thurgood Marshall monument at the Maryland State House, several sculptures of Baltimore Orioles baseball players for Camden Yards, and work on the U.S. Navy Memorial. He also has a significant body of work related to civil rights. 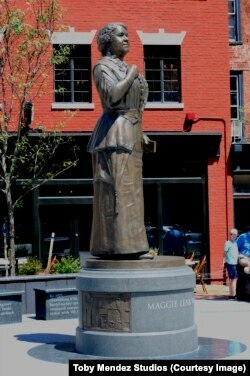 Among them is a monument to Maggie Walker, the first woman to start a bank and the daughter of a former slave. Another is to Major Taylor, the first African-American world champion cyclist. “I get lost in my work. I can be in my studio working on a sculpture or a painting or drawing and just completely get lost and lose track of time,” says Mendez. Becoming interested in sculpting started at an early age for Mendez. He says both his parents inspired him. However, Mendez says being an artist requires more than working with his hands. It also requires learning. Mendez says when he is commissioned to do a sculpture, he begins by researching his subjects and thinking about what the final product will convey. 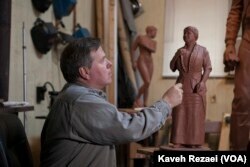 Once a sculpture is finished, Mendez says he sometimes still is not quite satisfied, but he eventually comes around. Mendez says being constantly critical of himself makes his work better. At the same time, he appreciates being able to share his talent with others.